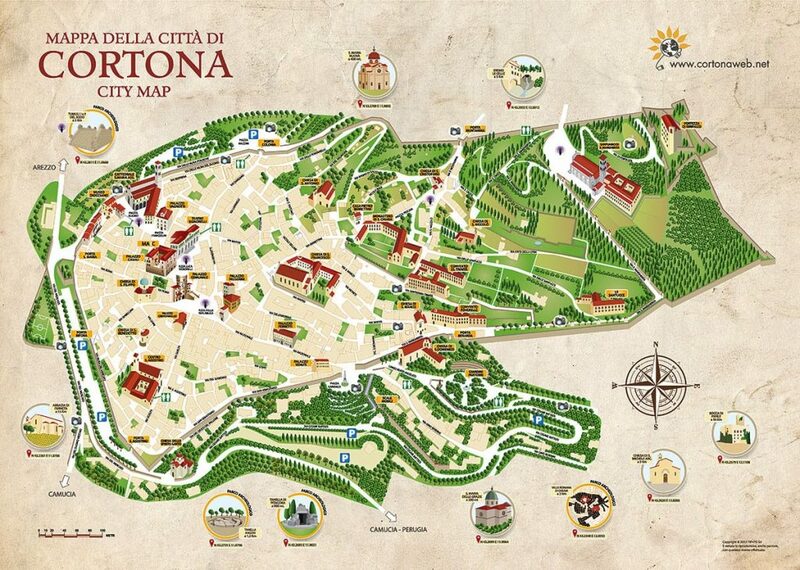 The tourist map of the town of Cortona provides a first orientation to easily locate the main points of interest of the town and of its surroundings. A 3d rendering of the main monuments will help you to better organize your tour by choosing to visit the most fascinating attractions or to follow the recommended routes in the section “Visiting Routes”. In the map you will also find GPS coordinates to easily reach the points of interest in the neighboring areas such as the Hermitage Le Celle or the Abbey of Farneta, whose distance from the town center is also indicated. 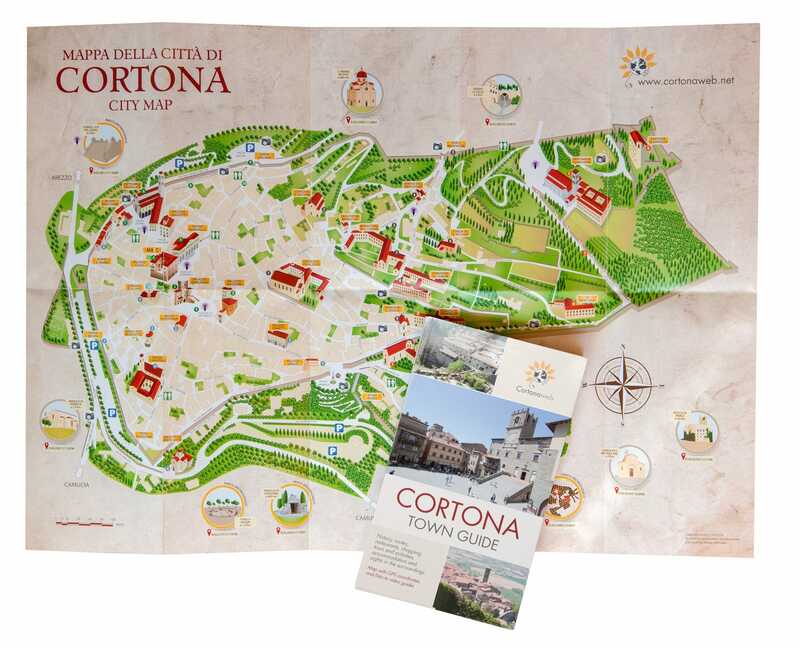 You can get this map free of charge at the tourist information offices of the town and at the facilities and shops that have an agreement with Cortonaweb.